Michael Pierce is a video maker and contributing guest writer for CelebrityTypes. As always with guest writers on the site, Pierce’s piece represents his own insights and type assessments and not necessarily those of the site. Still, we very much enjoy his work and are pleased to be able to share it with our visitors. An excellent way to describe this is through typology. Wittgenstein would say that those things which typology is able to talk about meaningfully, in other words, those subjects and philosophies that fall under the head of typology’s definitions, can be explained with typology in very clear terms once they are properly understood. Long complicated explanations are only the result of a person’s difficulty in wielding a language. Meanwhile, assuming for the sake of argument that such things as behaviorism, favorite color, astrology, mathematics, or obsessive compulsive disorder are not in the domain of typology, this would mean typology cannot talk meaningfully about them. It might very well try; someone could say that Fi users prefer a particular shade of blue, or say that Ni users are usually smarter than other people, but neither of these statements refers meaningfully to typology. Fi has nothing to do with a person’s preference for color as it is defined in the theory, nor does Ni have anything to do with intelligence analysis. In Wittgenstein’s case, he might have recommended a philosophical example, claiming that the argument over whether an already existing future necessitates a loss of free will is entirely meaningless, because if we were to get a proper, bird’s-eye view of what we’re talking about we would realize there are factors involved we could have never imagined. Hence, from an all-knowing perspective unattainable to humans, to say, for example, that the universe “already exists” or to speak of “free will” in the sense that we usually do is not even wrong; they are entirely meaningless statements with no reference how reality actually is, but only our limited, distorted perspective of it. It would be like two children arguing over whether the monster under their bed is a mammal or an insect. One says that it can’t be an insect because she’s never seen an insect eat a person before, but has heard of plenty of bears eating people. The other says that just because you’ve never seen an insect eat someone doesn’t mean it hasn’t happened. This argument might be very logical on its own terms, but it is entirely meaningless because there is no such thing as monsters who hide under children’s beds, yet the children are perfectly able to talk about it as though it were the most reasonable assumption in the world. This kind of confused use of language, this unregulated interchanging of definitions, and each of us making endless assumptions that others know what we are talking about by using a particular word in an unexplained way has seduced many people into all manner of misunderstandings and misuse of ideas. You’ve probably seen all kinds of embarrassing arguments on Facebook or YouTube comments where the participants get caught up arguing about something that doesn’t even mean anything anymore. Therefore, what we cannot talk about meaningfully, we should remain silent about, in order to avoid such arguments and wasting each other’s time. Wittgenstein’s goal was to teach us how we might avoid such confusions through a proper understanding of language’s structure and resulting limits. Whether or not Wittgenstein’s book solves this problem or not is still up for debate. What is not up for debate is that he later retracted many of his ideas in the Tractatus and proposed a competing view. The Tractatus assumed along with most traditional philosophy that truth is something separate from language, whether an objective truth or subjective truth, and that language is an attempt to reach out towards this already existing truth; thus language only gains meaning when it corresponds with this truth – when we adequately describe something outside of ourselves. Wittgenstein said that this is not so. He claimed that what we say is truly what we mean, and that is the truth of it. Our words are not endowed with meaning from some store of truth within ourselves or perfect dogma existing in a realm of forms, but rather they are endowed with meaning by the way the word is used in a person’s individual culture, whether that culture is one’s private language, or the culture within one’s immediate family, or an entire society or civilization. Thus Wittgenstein said that we play language games, or adhere to sets of rules that determine what certain signs, gestures or sounds ought to mean, and which differ from group to group. Under this philosophy, we should feel perfectly free to use typology to talk about as much as we want, but should remember that the meaning of our words is relative to how they fit into a particular language game. We may very well talk about Fi preferring the color blue, but that is not the same Fi that another group is talking about. We may come up with two thousand different words for the same thing and thus cover all of its facets, or we may come up with one word for a group of things to demonstrate their relationship. So, the task of philosophy is not to determine what the secret dogma is that words are reaching, but to watch and learn how words are used in various language games and thus determine each relative meaning. How far or close is this to the message of Plato’s Phaedrus? As Ni they both seem to have an emphasis of the incommensurability of truth with language. Wittgenstein says of Schopenhauer something to the effect that his thinking ‘stops’ where ‘true thinking’ begins. I take it to mean that his positing of the will in a Kantian schematic thereby normalizing it reveals his ‘short-sightedness’ on Witt’s view. Hi razorfield9. From what I understand, Wittgenstein and Plato are fairly close in their views on “the incommensurability of truth with language” as you put it (very well, I might add). Both feel that language is trying to correlate or represent the truth but ultimately falls short in some way. The difference, however, is that Wittgenstein believes that the logical structure of language limits what it can meaningfully express, because the words are unable to reach out to many aspects of the truth, and therefore remain unendowed with sense, becoming nonsense. Plato however seems to believe that language can talk about the truth, but rather than the words containing meaning in themselves they are endowed with meaning by the understanding of the reader; in other words, words can only remind us of things we already know, they cannot transmit knowledge of themselves, and therefore one must see the truth for themselves in order for words about the truth to have meaning for them. Those who have not seen the truth but talk about it anyway are not communicating anything to each other. Either way, the presense of Ni is clear, because both emphasize that reasoning is limited in expressing the truth (rational functions) while simply seeing the truth for oneself has no such limitations (irrational functions, such as Ni). As for Schopenhauer, from what I understand, Wittgenstein agreed with his concept of the world as representation, but did not like the world as will. In other words, Wittgenstein like Schopenhauers ideas about the world representing or expressing in various ways the Truth which lies behind it, but did not like what Schopenhauer said this Truth was: a directionless, meaningless Will. 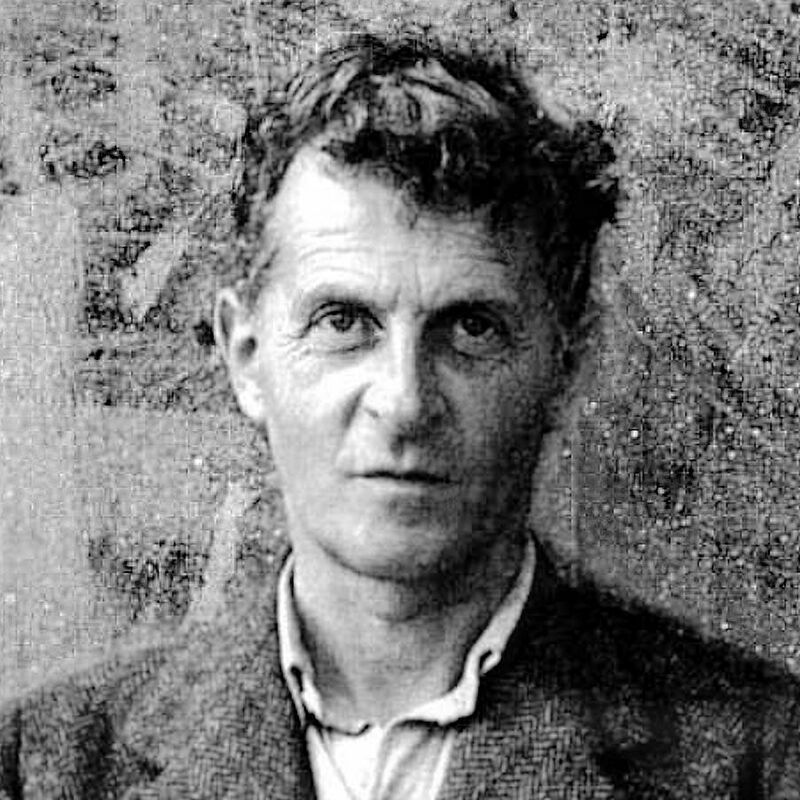 Wittgenstein, I believe, felt the Truth must be richer than that, because it is the Truth that supplies us with culture and value, even though we cannot talk meaningfully about it. As for Kant, I know Schopenhauer wrote a fair amouont of criticism on Kant, particularly Kantian schemata which he felt were just excuses for weaknesses in Kant’s philosophy. But I’m not as familiar with the subject and probably am not interpreting it correctly. that I just don’t agree with the particular foinnudg in this post. On Tractatus & Wittgenstein: I think we have to distinguish between concerns and presuppositions . While I agree that W. presupposes something like an imagining and knowing subject, it is not within his concerns in the Tractatus. Russell, for instance, in the very quote you use is quite lucid in pointing that out: There are various problems as regards language. First, there is the problem what actually occurs in our minds when we use language with the intention of meaning something by it; this problem belongs to psychology. Secondly, there is the problem as to what is the relation subsisting between thoughts, words, or sentences, and that which they refer to or mean; this problem belongs to epistemology. Thirdly, there is the problem of using sentences so as to convey truth rather that falsehood; this belongs to the special sciences dealing with the subject-matter of the sentences in question. Fourthly, there is the question: what relation must one fact (such as a sentence) have to another in order to be capable of being a symbol for that other? This last is a logical question, and is the one with which Mr. Wittgenstein is concerned. Anything about an imagining and knowing subject belongs question 1-2, and is not within W.’s concerns if we take Russell at his word, as you have often done. Even if W. is presupposing stuff about it. I would, for instance, call it an interpretive blunder to say that anything in the Tractatus suggests any strong claims about epistemology, say of a positivist nature. Even if, the whole Vienna Circle read it in that way. Scholarly writing, I suppose [but you tell me], concerns everything but W.’s fourth question: It concerns conveying truth rather that falsehood (question 3), it concerns using language with the intention of meaning something by it (question 1) and the question of method or epistemology (question 2).On anaphora: Davidson’s great fact is demonstratively irrelevant to the question of anaphora. And I hold something alike to your quasi-Derridean point about contexts too, but that point doesn’t really support your conclusions. PS: On translation, as you probably both know, Wittgenstein himself heavily assisted the Ogden’s translation, so I think Basbf8ll is right to use Ogden’s translation, especially of a key sentence such 2.1., which it is probable that W. himself approved (perhaps I’ll check the W.-Odgen correspondence later to settle the matter).